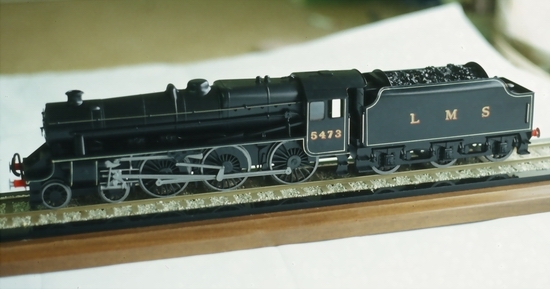 In the late 60's, I built this 7mm:1 foot (gauge 0) scale model Black Five locomotive & tender, the railway engine I remembered so well as a boy. 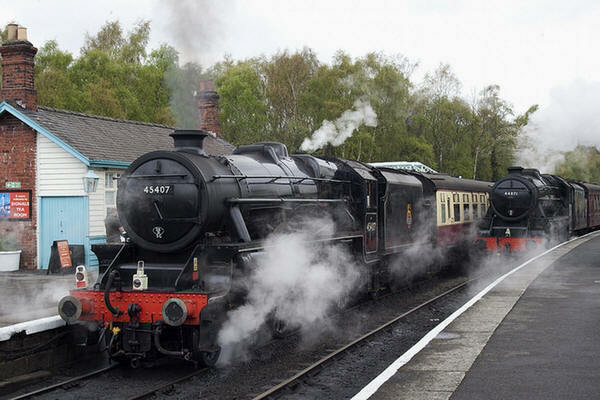 If you'd grown up in the North of England in the early 40's as I did, you'd know exactly what a black five was ... the workhorse of the L.M.S. before the days of British Railways. 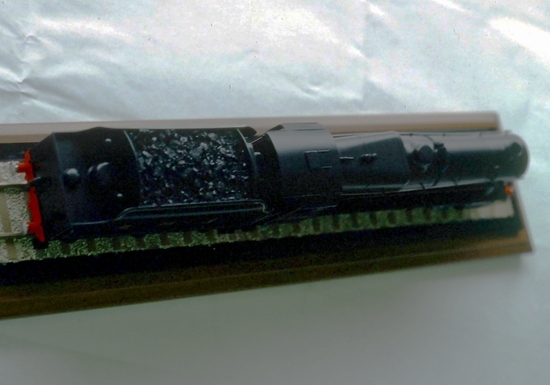 The locomotive shown below, is a non working display model, constructed of acrylic sheet, styrene and epoxy castings. The wheels, valve gear, and tender axleguards, are the epoxy parts, which were cast from RTV rubber molds. The originals ... to make the molds, were made from plexiglas and auto body fillers. The coal in the tender is actual Lancashire coal, that we brought with us from England when we came to Canada. It is not a highly detailed model, but in fact it was built quite quickly as a test piece. 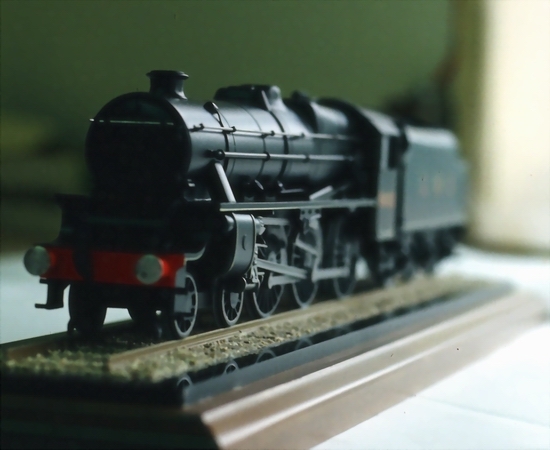 At that time, I had read an article about a model builder who had built a collection of old steam locomotives, in wood, non working display pieces. I thought it was a great idea, but why not in plexiglas and epoxy ? That's how this model came to be, and my wife has treasured it ever since. She feels it was really the start of this whole business, the concept of building "Limited Edition" scale models, as collector pieces or trophies.